Against all the odds, Dolly Rawlins and her gangland widows managed the impossible: a heist their husbands had failed to pull off - at the cost of their lives. But though they may be in the money, they're far from easy street. Shocked by her husband's betrayal, Dolly discovers Ha... read full description below. DOLLY, LINDA, SHIRLEY AND BELLA ARE BACK. AND THIS TIME IT'S A FIGHT TO THE FINISH. Against all the odds, Dolly Rawlins and her gangland widows managed the impossible: a heist their husbands had failed to pull off - at the cost of their lives. But though they may be in the money, they're far from easy street. Shocked by her husband's betrayal, Dolly discovers Harry Rawlins isn't dead. He knows where the four women are and he wants them to pay. And he doesn't just mean getting his hands on the money. The women can't keep running. They have to get Harry out of their lives for good. But can they outwit a criminal mastermind who won't hesitate to kill? Especially when one of them has a plan of her own . . . to kill or be killed. 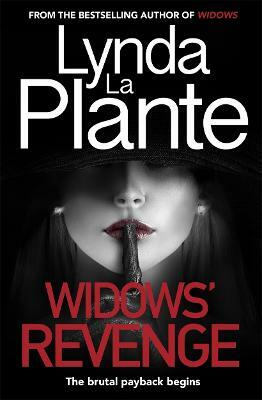 The sequel to Lynda La Plante's groundbreaking thriller, Widows - now a major feature film. Lynda La Plante was born in Liverpool. She trained for the stage at RADA and worked with the National theatre and RDC before becoming a television actress. She then turned to writing - and made her breakthrough with the phenomenally successful TV series Widows. Her novels have all been international bestsellers. Her original script for the much-acclaimed Prime Suspect won awards from BAFTA, Emmy, British Broadcasting and Royal Television Society as well as the 1993 Edgar Allan Poe Award. Lynda has written and produced over 170 hours of international television. Lynda is one of only three screenwriters to have been made an honorary fellow of the British Film Institute and was awarded the BAFTA Dennis Potter Best Writer Award in 2000. In 2008, she was awarded a CBE in the Queen's Birthday Honours List for services to Literature, Drama and Charity. If you would like to hear from Lynda, please sign up at www.bit.ly/ LyndaLaPlanteClub or you can visit www.lyndalaplante.com for further information. You can also follow Lynda on Facebook and Twitter @LaPlanteLynda.